Yesterday Muffit and I went to our obedience instructor and had a private lesson. Muffit is such a sweet boy, but he doesn’t know how to calm himself down. He’s like a kangaroo on a pogo stick, he comes out of his crate bouncing and sitting and downing and bouncing and twirling like a crazy dog. In order to get this boy to do any sort of dog sports, he needs to calm down enough to think instead of throwing himself around without any thought. And so now I have some good exercises to do with him, and I’m looking forward to see his progression. The first exercise is to have him lie on his mat, and just hold his chin in my hand. He’s so reactive that a click or a word of praise brings his drive up. So when he’s still, a treat is silently slipped into his mouth. When we were doing this it was working great and he was already catching on! And I will intersperse this with shorts bursts of play with him, to teach him he can be high, then he can come down again and be still. So he can think in a high state, and also to get that high state, maybe, to not be quite so frantically high. Next we will work on him coming out of the crate. I will have to lure him out slowly, and have him sit. Because when he comes out he’s a bundle of energy bouncing all over the place. So we will work on control coming out of the crate. As well as restraint staying in the crate with the door open. Lastly we’ll work on going to a target plate to get a treat, then coming back to me and sitting in a calm way, maybe with some more chin holding. Hahaha! Kangaroo on a pogo stick… priceless! Hera gets really excitable when I try and train her. The more excited she gets, the more she barks. The more she barks, the more more frustrated I get. Muffit sounds like a barrel full of energy. My Daisy is similar when it comes to energy levels but it doesn’t sound like she has the same confidence levels. I’m not sure if she will ever be a super confident Dog after coming from the rescue centre. Muffit sounds like a fantastic Dog though and looks fantastic. Oh boy he sounds a lot like a lab i used to have! My name is Erin and I’m glad I found your blog! I’ll be raising a smooth coat collie as a guide dog, for the Guide Dog Foundation for the Blind. Even though I’ve worked at TWO doggie daycares, we don’t have many smooth coats that come….ok make that none. I’ve been looking around online for blogs, because I want to see some “in action” as well as hear about their temperaments and what I should expect etc.. so its awesome to see that you have FOUR!! Muffit is a beautiful pup! I love how you give the details of the training sessions, great info for the rest of us. Keep us updated with his progess! Cynthia, I finally found your blog! It’s adorable! I love all the dogs. Previous Previous post: Sasha Has Pemphigus But Is Healing! 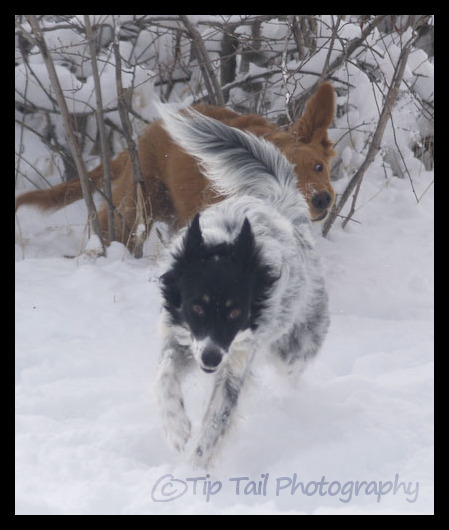 Next Next post: Does a Foster Dog Affect an Agility Dog?